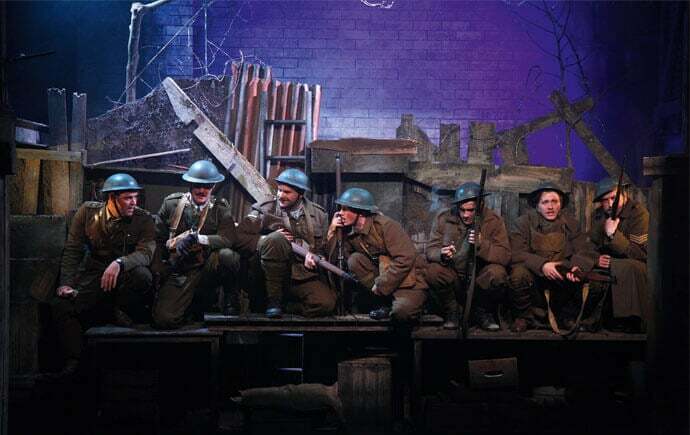 Penned by Ian Hislop and longstanding writing partner Nick Newman, The Wipers Times is a touching and often hilarious true story of how a resilient sense of humour can play an important role in even the most tragic of circumstances. In early 1916 a group of 12th Battalion Sherwood Foresters are patrolling the war-torn ruins of Ypres when they happen upon an old printing press. Sergeant Harris, previously a printer on Fleet Street, declares the machine still in working order and this gives Captain Roberts the wonderful idea of producing a satirical newspaper to entertain the battle-weary troops. But what on earth to poke fun at in such circumstances? It would have to be the only thing they knew at the time – war.